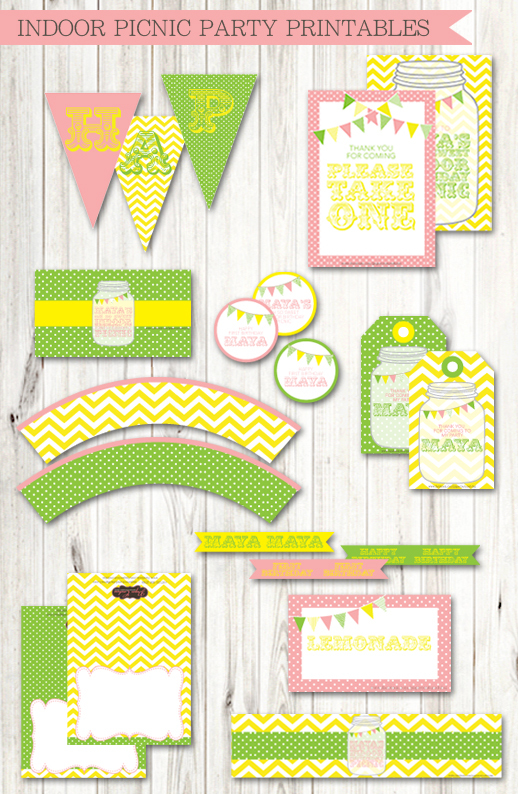 Paper Couture Stationery: Maya's indoor picnic party! What an innovative and ingenious way to escape the scorching heat and make the most of summer - an indoor picnic! Have a look at the stationery I designed for a recent event - although indoors, I used summer colours like yellow, green and pink to give an outdoorsy look and feel. I kept the designs simple but played on the front which lent a rustic theme to the picnic. How do you plan to spend the rest of summer? Fancy and event? Get in touch at 055 956 2789. This seems good for a small family indoor party. Crafted invitation cards will be forcing everyone to be in party. Looking for an Event Management Company Dubai then have an experience with our experts who are crazy to give you life best experience so you can memorize. Maya's indoor picnic party was seems so fascinating! I love the printable and the color scheme. My niece’s birthday was celebrated at one of best Los Angeles venues and they also had yellow and white color scheme for decorations. Beautiful printable and nice idea. 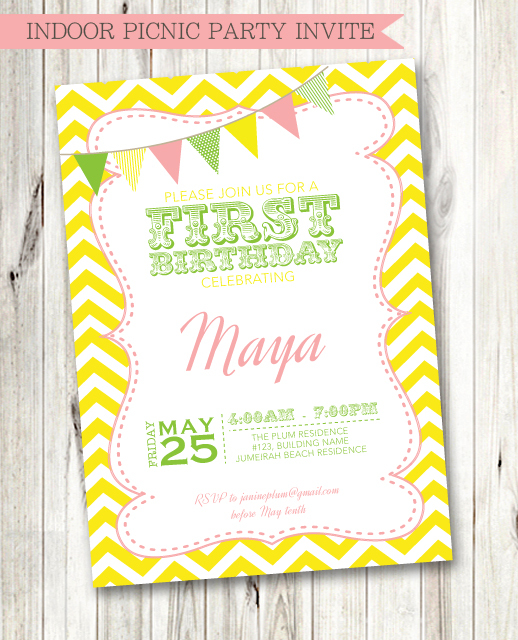 printable invitation card look fabulous. Thanks for sharing. The projects are so fascinating. Many more useful ideas are generated in mind after going through this blog-spot. Great share. Keep sharing. thankyou for sharing such a nice piece of work with us.